The winners of the inaugural Tech eChallenge have been announced with Seer Insights taking out the prize for their new software system aimed at saving the wine industry millions of dollars each year. The system captures a greater and more reliable volume of information about grape growing and winemaking processes, enabling those in industry to more accurately assess annual yield levels and the resources needed. Seer Insights will receive prizes valued at more than $20,000, including a trip for all three team members to Microsoft’s headquarters in Seattle, USA. The trip will provide a unique opportunity for the team to pitch its technology to Microsoft executives. “Not being able to accurately predict the grape yield from one year to the next is a major and extremely costly issue for the wine industry,” says Seer Insights team member Harry Lucas, 20, who is studying Mechatronic Engineering at the University of Adelaide. The other members are Petros Bakopoulos, 21, a Mechanical Engineering and Finance student, and Liam Ellul, 23, who is studying for a double degree in Commerce (Marketing) and Law. “At the moment we’re working with the wine industry and applying this technology to both growers’ and winemakers’ operations. It could potentially save the industry hundreds of millions of dollars each year. “There is also the potential for our system to be expanded into other industries. It’s the kind of technology that could improve global food production, helping to feed the world,” he says. The response for the first Tech eChallenge has been fantastic with 65 teams vying for first prize. We would like to especially thank Microsoft for their support of this new stream of the Australian eChallenge. 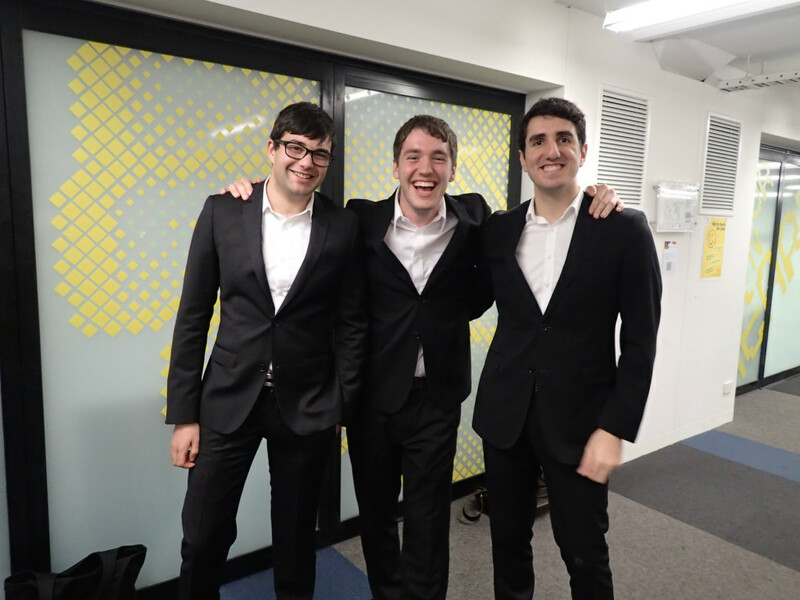 Huge congratulations to the team for their innovative idea and best of luck in the US pitching their software! This entry was posted in Connect, eChallenge, Entrepreneurship, Innovation, News and tagged GrapeBrain, Microsoft, Seer Insights, Tech eChallenge. Bookmark the permalink.